Glossy Laminated Black Fashion Forward Custom Tote Bags- $3.98! Excuse me, can someone point me back to Rhode Island because with classy totes like these, I feel like I woke up in Paris! 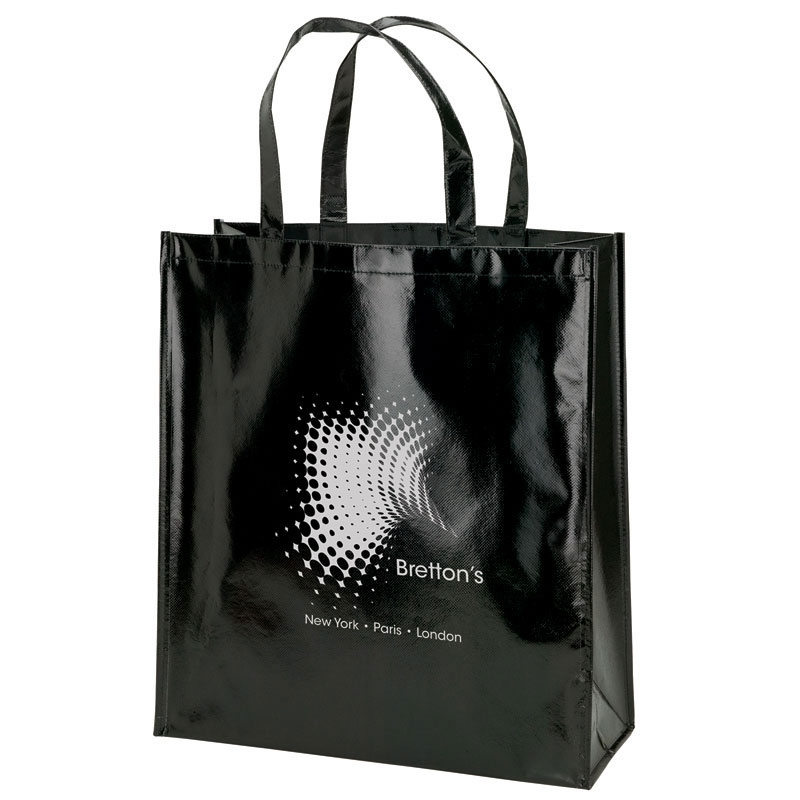 These glossy black tote bags are just the item to set your company apart from the competition. Best of all, you get the Parisian look with Rhode Island prices! Let's take a look at the breakdown on these awesome customized black gloss tote bags.